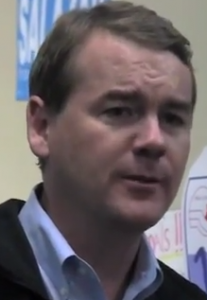 The Colorado Independent yesterday reported on an odd occurrence at embattled Democratic Sen. Michael Bennet’s downtown Colorado Springs office. Apparently, the office building had metal spikes installed meant to discourage homeless folks from lounging out front. And, now, the spikes have been removed. Honestly, Bennet and his staff shouldn’t view this as a commentary on his policy, but as a lesson learned. Never let the EPA share office space – it can be a really crappy experience.